#203 – The Rooney Rule is an NFL procedure that requires teams to interview minority candidates for head coaching positions. It does not establish a quota or require the candidate to be hired, but does theoretically ensure that minorities are represented in the hiring pool. In 2009 Oregon State Legislature passed House Bill 3118 which requires Oregon state funded universities to follow the same procedure in their athletic departments. #204 — Regional Arts and Culture Council report. It’s interesting that this report coincides with reminders to pay the Art Tax hitting mail boxes and email inboxes. People tend to think that the RACC is getting the bulk of the Art Tax revenue, but that doesn’t appear to be the case. In fact, roughly $3.5 million of it’s funding comes directly from the city’s General Fund. A few months back, the city did authorize some additional funds to cover a shortfall caused by less than expected Art Tax collections. 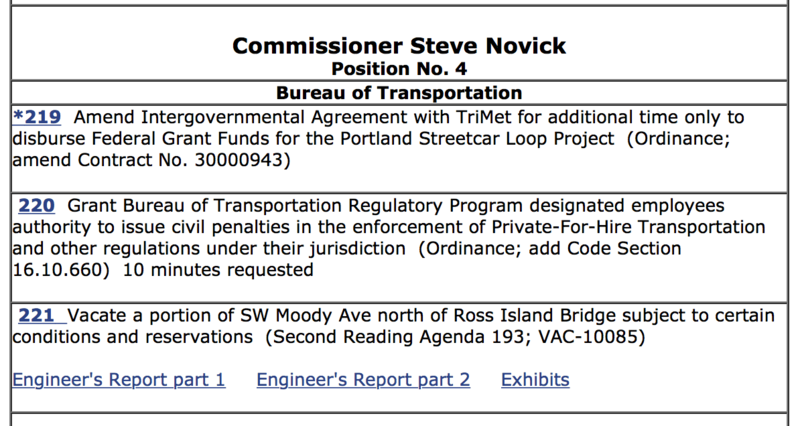 Art is awesome, but $3.5 million is about one-third of PBOT’s annual paving budget. 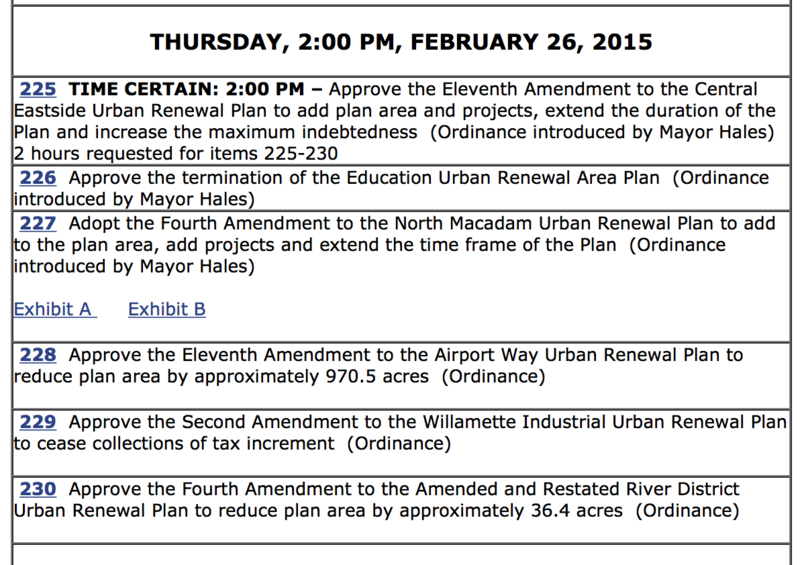 Hmmm..
Also note: The attached documents state that the E-Zone does not decrease projected growth in property taxes. However, since the entire program hinges on tax abatements, there must be some current impact on revenue. #207 & #208 – Lots of people sue the City. 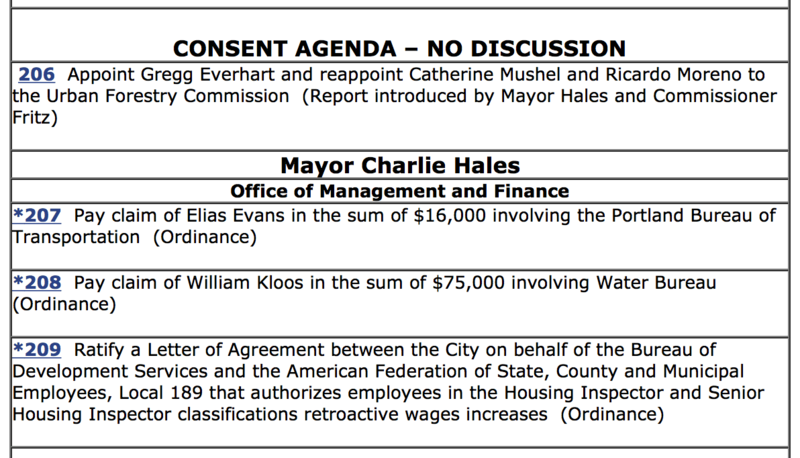 It would be interesting to find out exactly how much the City pays in settlements each year. 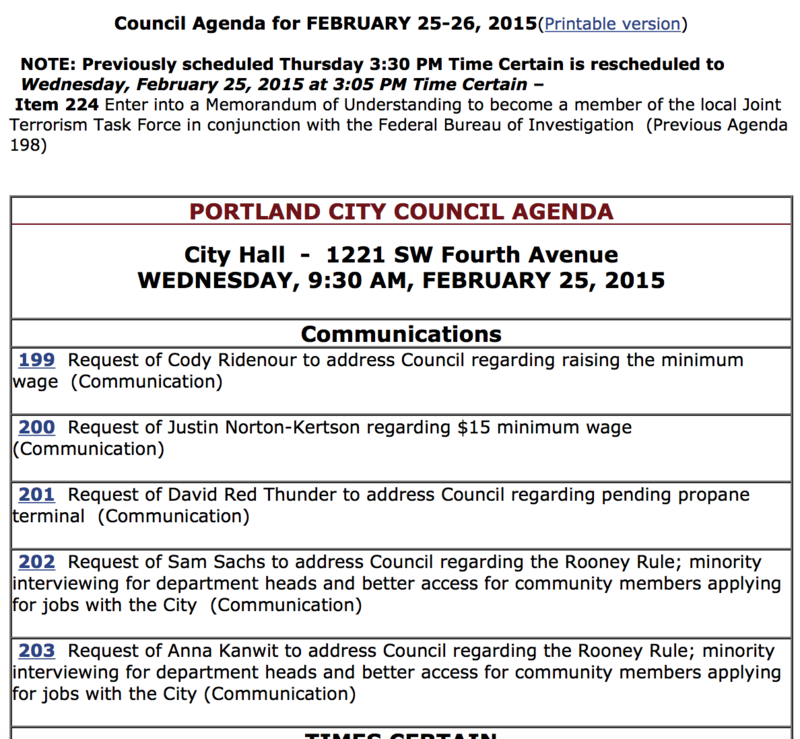 #209 – an amendment was added in the Tuesday Memo dated February 24th changing some of the wording. #210 – Zenger Farms is building a grange. It has almost all of the $2.3 million it needs to fund it. $100,000 won’t put them over the top, but it will close the gap a bit. 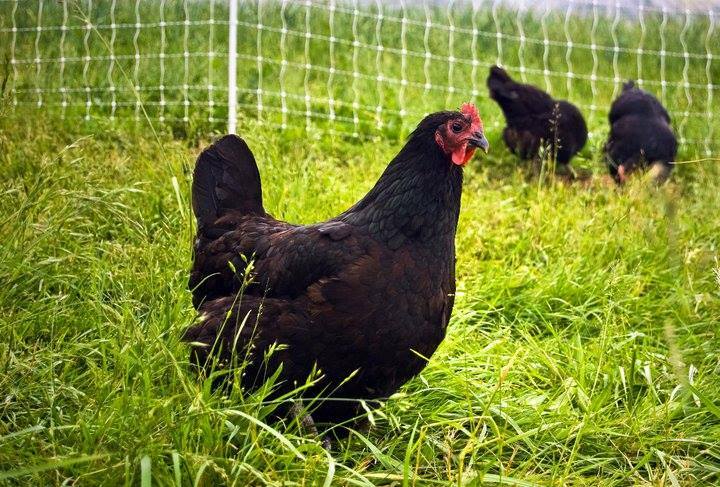 There is a lot right about Zenger Farms: green construction, farm camp for kids, good looking chickens. Here’s some more info. And some chickens. #217 & 218 – See explanations in previous posts. #220 gives the Uber-chasing-penalty enforcers the right to write tickets and shiny badges. 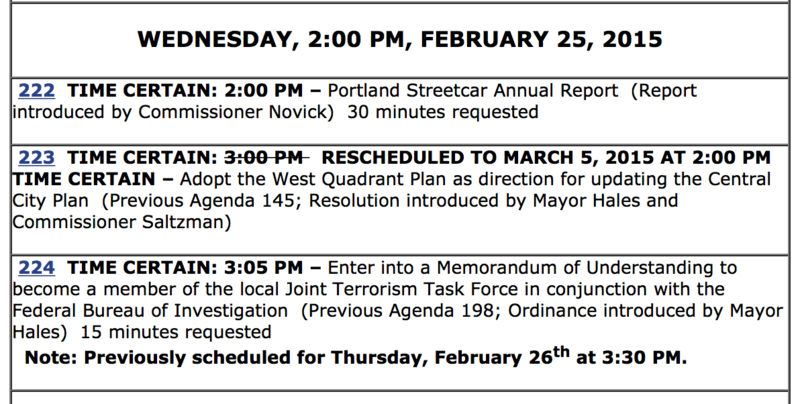 Let’s hope Commissioner Novick is asking PBOT some tough questions when they present their revised report. $126,000,000 is a lot of money.